What better way to celebrate your birthday or family get together than the truly unique experience of chartering your own private cruise. 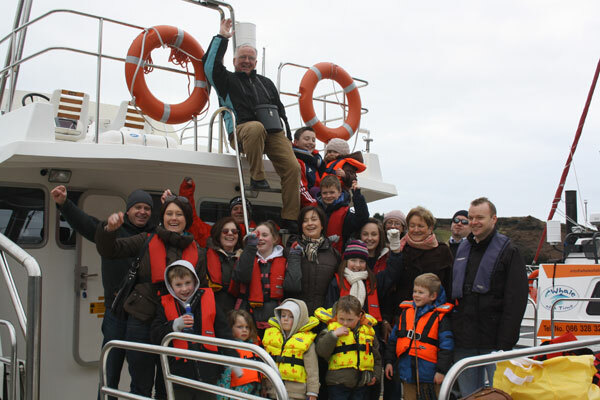 Your personal host and skipper will welcome you on on-board, kick back and relax while we cruise through Kinsale Harbour, past Charles Fort and James Fort and out to The Old Head Lighthouse. Enjoy the sea air and breathtaking scenery of Holeopen Bay Caves, The Sovereign Islands and the moss carpeted cliffs of Kinsale’s Outer Harbour. Keep your cameras at the ready as we keep a look out for the many Bottlenose and Common Dolphins which enjoy these waters. Cruising into the secluded Sandy Cove Bay we drop anchor and allow you time to celebrate with your delicious on-board picnic. Bring your own food or choose our ‘Add A Touch Of Luxury Package’* and enjoy the truly unique experience of dining on deck. 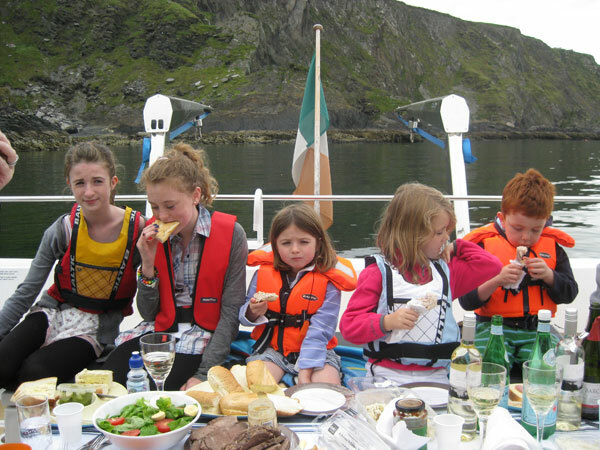 Returning to Kinsale Harbour you and your loved ones will have created memories to treasure amongst the spectacular backdrop of the beautiful West Cork coastline.